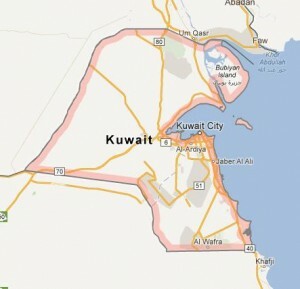 Corbilla who worked for a Kuwaiti household for two years was accused by her Kuwaiti lady employer of attempting to kill her 15-year-old son on January 21 this year. Corbilla recounted to the Arab Times that on that day, she was looking after her employer’s three-month old baby at home while her employer was at work. She was carrying and feeding the baby with a milk bottle when her employer’s son approached her and tried to take the baby from her. She refused to give him the baby because she was still feeding the baby. Her employer’s son allegedly shouted at her and tried to grab the baby from her. To avoid further confrontation, Corbilla gave the baby to her employer’s son. She then went to the kitchen to cook food. She narrated that while she was slicing some chicken with a big knife in the kitchen, she suddenly heard the baby crying prompting her to rush inside the house with the big knife in her hand. “The baby was crying so hard so I ran toward the room and my employer’s son saw me rushing with the big knife in my hand. I was worried about the baby so I didn’t notice anymore that I forgot to put down the knife,” she explained. When her employer’s son saw her rushing in with the big knife, he closed and locked the door and Corbilla was not able to get into the baby’s room. “I knocked several times and I asked him to open the door so I can check on the baby but he refused to open it. He thought that I might kill him with the big knife. So he called up his mother and after 10 minutes, my employer’s sister-in-law, sister and niece arrived in the house. They asked me what happened and I explained to them but they won’t listen and insisted that I wanted to kill their nephew. Then they shouted at me, slapped me, pulled my hair and kicked me. They mugged me,” she lamented. After beating her up, Corbilla claimed she was brought by her employer to the police station and was charged with attempted murder. She was later transferred to the Kuwait Central Jail while her case was being heard. Corbilla disclosed that while in jail, she remained strong and kept her faith despite what happened to her. “I was very afraid but I’ve remained steadfast in my faith and prayed to God for strength because I know that I’m innocent and they have charged me with something that I did not do,” she stated. Corbilla’s prayers were finally answered when her former colleague in that Kuwaiti household escaped from their lady employer on February 4, 2013 and ran to the Philippine Embassy for help. She was the one who informed the embassy officials about Corbilla’s case. “As soon as we received the reports of Maria Amor’s case from her co-worker in the house, we immediately provided her with an excellent lawyer who was able to get the decision in less than two months,” stated Hassan. Corbilla who is happy over her acquittal thanked the Kuwaiti justice system for clearing her off the case. “First of all, I would like to thank God and to all those who helped me, my sisters in the Mormon Church, to Rosa Linda my former colleague in the house and to the Philippine embassy for helping me as I look forward to going home and being reunited with my family,” she stated. With Corbilla’s acquittal, the Philippine Embassy in Kuwait called on OFWs here to inform the embassy immediately if they happen to know any case of Filipinos who are in jail. “To all our fellow Filipinos in Kuwait, please come to us, please don’t hesitate to contact our officers, not only cases that are legal in nature but also those maltreatment cases. If you have any information of domestic helpers in houses who have been beaten or abused,” stated Charge d’ Affaires Atty. Raul H. Dado.